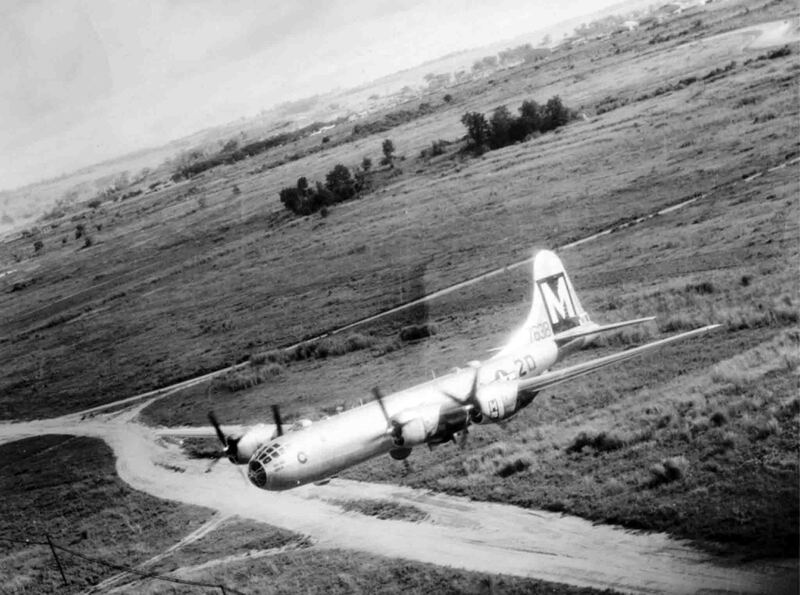 American heavy four-engine Bomber Boeing B-29 Superfortress in flight at low altitude. Boeing B-29 “Superfortress” – American heavy bomber long-range company “Boeing”. Created in 1941 for the strategic confrontation of militaristic Japan. The chief designer is Assen Jordanoff. B-29 In series production since December 1943. The large-scale issue of B-29 is motivated by the declaration of the war of Japan and the entry of the USA into the Second World War. In total, about 4000 B-29 aircraft of all modifications were built.